Shirley Mikolajow celebrates 28 years in 2018 as a licensed real estate agent and REALTOR® with the Calgary Real Estate Board. Having always been in Public Relations, Shirley enjoys working with people and making sure that they receive the most dedicated, knowledgeable service with integrity. This highly productive, successful business was built from the ground up in 1990, "one customer at a time" with Tender Loving Care and much support from Shirley's husband Bill and children, Jeff and Nadine. Jeff is now a licensed REALTOR® in Calgary as well and receives 100% support from Shirley. “We enhance each other – Jeff’s a great guy!" The Calgary Real Estate Board Million Dollar Club Award, RE/MAX Hall of Fame, RE/MAX Platinum Club, RE/MAX 100% Club, RE/MAX Executive Club and RE/MAX President's Club Award plaques adorn Shirley's office wall - along with many other professional achievements. Always up to date with education, Shirley is a certified Associate Broker. This professional Real Estate designation enhances her career and, although not mandatory, helps to ensure that when she is Your REALTOR®, you are getting the very best. Recent qualifications include “Certified Condominium Specialist”. Shirley specializes in Residential Real Estate and works the entire City of Calgary. The South seems to attract her more, simply because she lives there and many people recognize her from around the neighbourhood. A farther destination is just fine for Shirley however, as she is willing to 'Go the extra mile' and is readily accessible to all quadrants of the city and its surrounding area. As a Registered Relocation Specialist, Shirley takes great pride in ensuring that all aspects of Relocation are addressed and that clients' needs are met. Transferees will receive attention to detail with special consideration to their interests. Shirley loves working with both Sellers and Buyers, finding the combination a very pleasant and rewarding way to do successful business. 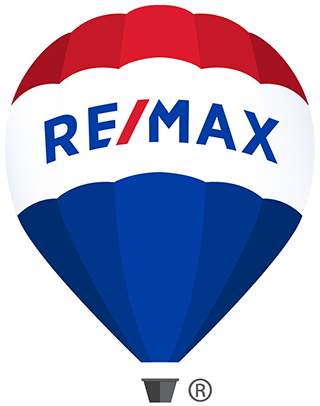 RE/MAX First offers all the office support necessary to enhance Shirley's services, including full time receptionists (with 24 hour live call answering) with extended office hours, couriers and many other services leading to customer satisfaction. We have every tool available to make you, the Customer, happy… internet, email and websites with virtual tours etc. but remember - these are simply tools! Your REALTOR® is the human touch that enhances your home buying experience. Call or email Shirley Mikolajow today! This is where Quick Action is! !